One bowl, one whisk, minimal fuss. Seriously, this is fool proof. And so easily adaptable! When I make it for myself, I substitute half the flour for wholemeal flour and reduce the sugar by a few tablespoons. You can add pretty much anything you like to the batter and it will be just fine. The one photographed has chopped pecans and chocolate chunks in it. This is particularly great for my student readers who don’t have access to mixers and fancy equipment and all the ingredients are store cupboard essentials. The greek yoghurt in the bread gives an added protein boost and locks in loads of moisture. Happy Pancake Day! 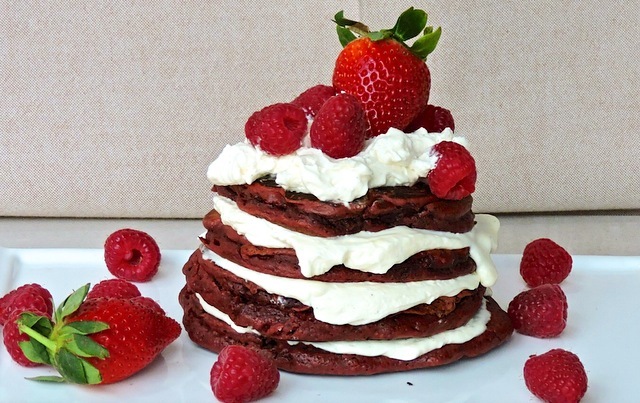 If you’re looking for something a bit special this pancake day then I thoroughly recommend making these red velvet pancakes. I’ve made them twice in the last week… just to make sure they were good enough for you all. Obviously. The thing is with these super thick and fluffy ‘american’ style pancakes, is that they’re actually just cakes cooked in a pan as opposed to the oven. They have all the same ingredients as cakes and this makes them super fluffy and filling. It might seem like a lot of ingredients for a few pancakes but if you have the time then it’s definitely worth it! I got this recipe from a youtube channel called “Gemma’s Bigger Bolder Baking” but i halved the quantities to make only four pancakes. They may not be the prettiest pancakes in the world but they’re certainly the tastiest! Stack them up nice and high to present and serve with maple syrup, a dusting of icing sugar or a softly whipped cream cheese topping (my topping of choice). It’s Valentine’s Day. You know, possibly THE biggest capitalist scam of the year, and that considers a pretty sizeable amount of ‘days’. Cynicism aside, I bake something on Valentine’s Day every year and this year is no different, except of course that I’m sharing my bake with you guys. I guess you could call yourselves my valentine, awww. Anywayyyyy, I needed a break from uni – I go through this pretty much every term. It gets to about six weeks in and I am DONE with looking after myself. I begin to make the long journey home, spending the entire car journey reminiscing and thinking about my mum’s cooking, my kingsized comfort zone of a bed and how I’m going get greeted with the warm, familiar scent of home by parents who welcome me with open arms poking away at me and asking why I look ill (even when I’m not ill). Well usually anyway. This time, I was left to fend for myself as my parents were away on holiday. I mean I could have taken advantage of the whole free house situation and had some mad party Project X style but come on, it’s me. I spent most of the weekend mooching on the sofa with a cup of tea watching TV and giving in to an occasional gym break. I won’t bore you with anymore mundane life details, other than the fact I’m beyond happy my winter assignment related stress paid off and I’m sitting comfortably on a 2:1 at uni. I was flipping though my mum’s calendar (she has a Good Food calendar) and these biscuits were February’s recipe of the month. They looked simple enough to make, if a little time consuming but they were so adorable that I absolutely couldn’t resist making them. 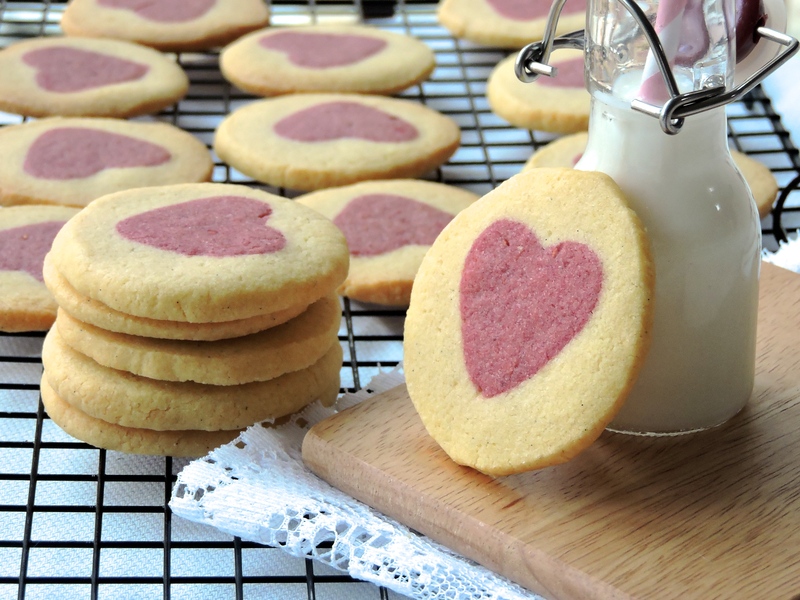 They are lovely little vanilla butter biscuits with a slightly tangy heart shaped centre and they’re not only nice to look at, they taste really good too – think M&S all butter viennese biscuits. These are definitely worth your time this Valentine’s Day. Or, any other day of the year… I don’t judge! Remember that scene in My Big Fat Greek Wedding when Ian’s mother brings a bundt to Toula’s mother, Maria and she gets all confused… Yeah I made a BONDTTTT cake today. And stuck flowers in it because that’s now a thing. 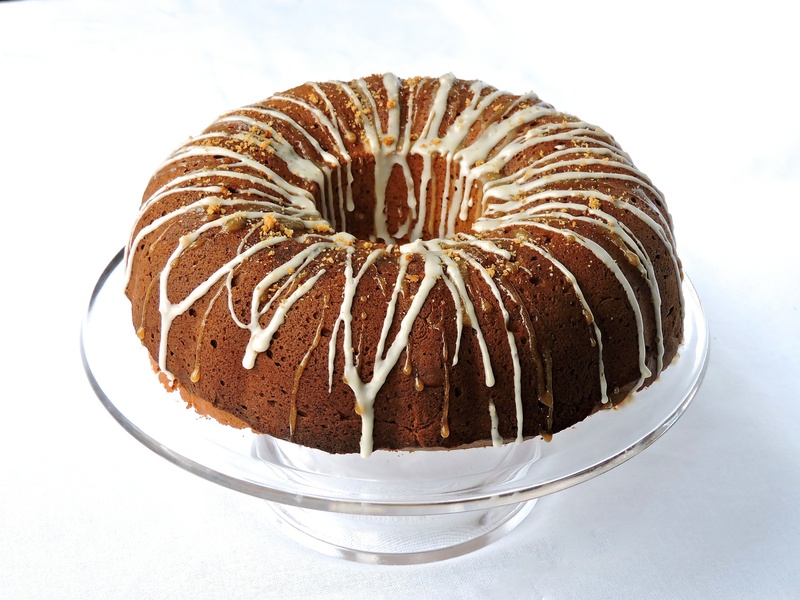 This cake, although masssssiiivvveeee was really simple to make and bundt cakes are so ideal when you really don’t feel like spending hours decorating a cake. Simplicity wins here. Even a mere dusting of icing sugar would be enough decoration for this cake. 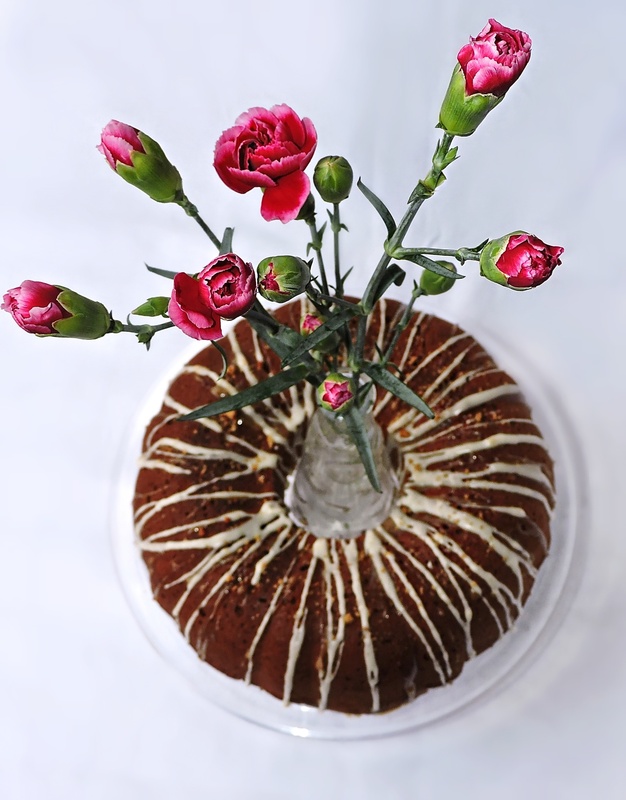 I paired my not very sweet toffee cake with a simple coffee glaze and decorated it with some leftover cake crumbs. 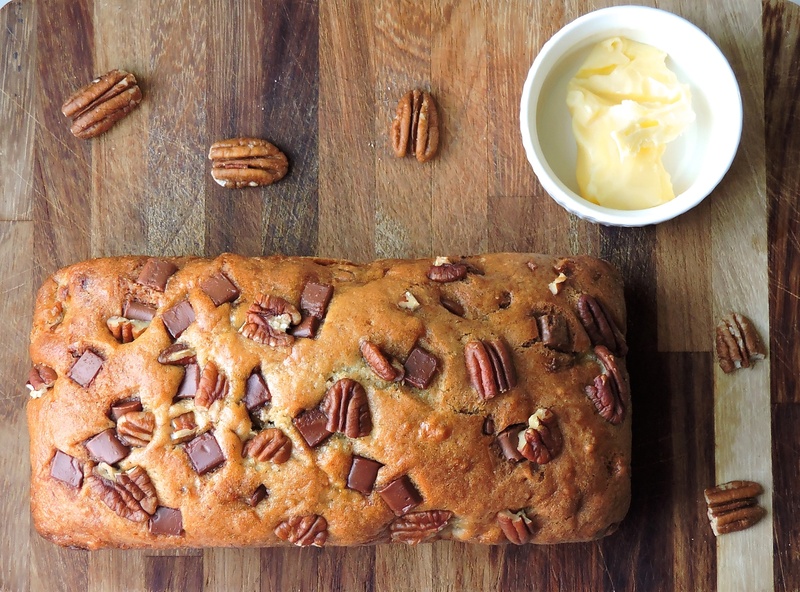 I know what you’re thinking – how can toffee cake be ‘not very sweet’?? Well trust me on this one. It was really light and not at all sickly or sweet. It’s perfect for afternoon tea. Or you know, for breakfast. This recipe is (slightly adapted) from one of my absolute favourite cookbooks: Cake Days. 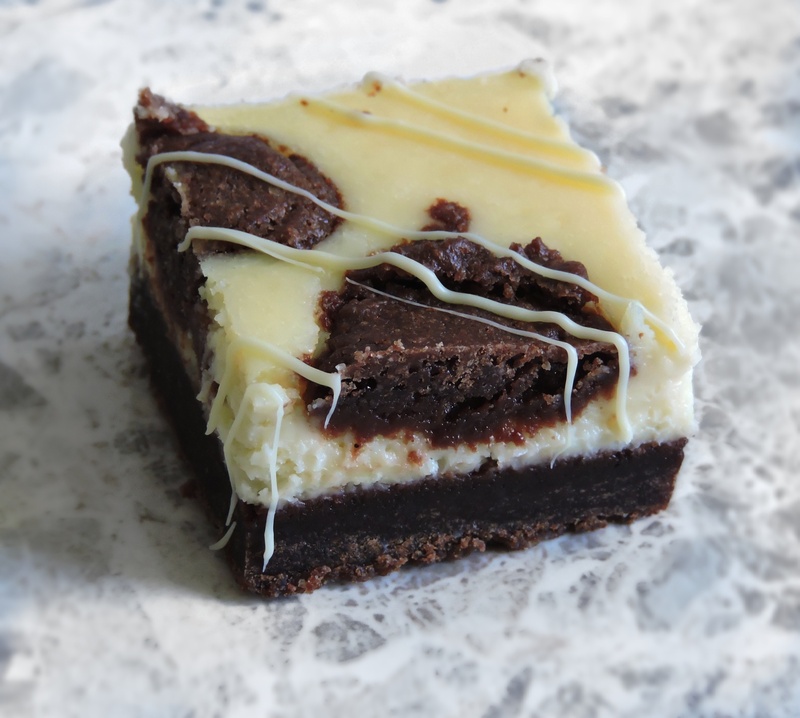 I’ve made these cheesecake brownies before, about two years ago and I was flicking through my Hummingbird book and all the creamy, fudgy memories came flooding back! These are sooooo good. I mean, there’s a fair amount of waiting involved so if you struggle with self restraint or patience then I might suggest making something else but seriously, the wait is worth it. The brownie is actually dough-like in consistency which is a bit weird. Although I like the end product and it works, I feel like these could be massively simplified and I am working on a recipe to do just that because we all know simple baking is the best kind of baking. The cheesecake is made with white chocolate to really intensify the flavour of the whole thing and make it that bit more indulgent.